Ryan Molloy, Eoin Brady (RTÉ Lyric FM) and Katie Neville. New work to mark Lyric's 20th year. Composer Ryan Molloy has been commissioned by RTÉ Lyric FM to write a concerto for Irish harp and orchestra celebrating the station’s 20th birthday. 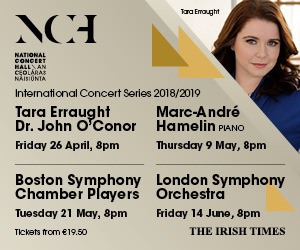 The concerto will be premiered by harper Máire Ní Chathasaigh [Update 9 April 2019: Anne-Marie O’Farrell will be performing the concerto] and the RTÉ NSO next May, conducted by Gavin Maloney. The commission comes with an award of €10,000. I didn’t necessarily approach that as something to be shackled by, but rather something that I could turn my hand to creatively. 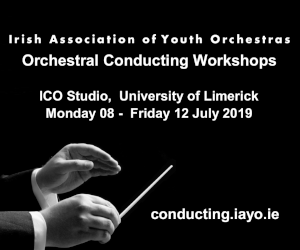 The core of it for me was the possibility of engaging with the traditional Irish harp and an orchestra in a concerto context, and that really excited me, as most things involving trad and anything else do! 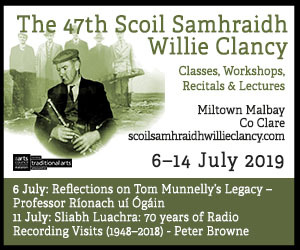 Molloy, a lecturer in composition at Maynooth University for the past six years, is originally from Tyrone and is a traditional fiddle player and pianist as well as a composer. Finding a compositional voice that balanced his broad musical interests was influenced by two key meetings with composers as part of a BBC scheme in 2012. I was confused. I was a trad musician who was exceptionally fired up by weird and wonderful contemporary music sounds. I wrote contemporary music. I also played contemporary music and had been trained in classical music. My natural expressive reaction was to want to combine these two things, but of course they seemed like polar opposites. I was trying to rationalise my playing practice with my writing practice and Brian Irvine just said ‘It’s all you!’ That was liberating. 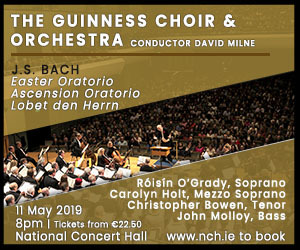 Molloy has previously written several works for orchestra, including a Violin Concerto that was premiered by the Ulster Orchestra and Darragh Morgan in 2016. An aspect that has shaped his approach to the commission was an interview that Máire Ní Chathasaigh did with Ellen Cranitch about writing for the harp when the commission was announced. 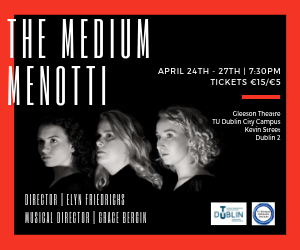 The one thing that really struck me when Máire and Ellen were talking about the harp was its brightness, nimbleness and versatility, and I really focussed on that… I wanted to look at each of these facets of the harp in the movements of the concerto. I’m trying to find ways – if I imagine myself as a soloist as a trad musician – that would be a little bit beyond trad playing. Máire’s such a versatile player anyway, so there’s a wonderful playground there. The title of the work is currently Gealán, meaning ‘sparkle’. 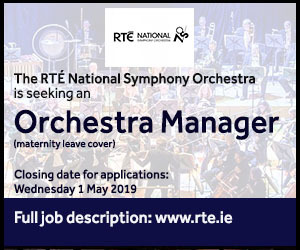 As well as the concerto commission, Lyric has also announced shorter commissions for composers Katie Neville and Elliot Murphy to write works for the RTÉ Philharmonic Choir and the RTÉ National Symphony Orchestra Cello Octet respectively. The shorter commissions come with an award of €2,000. Katie Neville, a classical guitarist, graduated from Maynooth University in 2016. 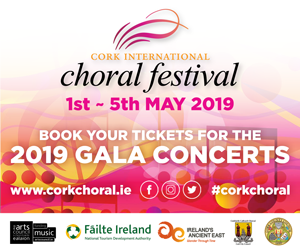 She led the Irish Youth Guitar Orchestra on its inaugural tour the same year and her compositions have been performed by Chamber Choir Ireland and members of the RTÉ National Symphony Orchestra. Elliot Murphy is a composer, cellist and guitarist currently based in Berlin. 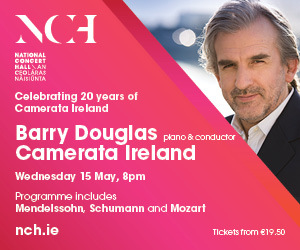 He studied composition with Evangelia Rigaki and Donnacha Dennehy at TCD and was the recipient of the Gerard Victory Prize in Composition and the Geoffrey Singleton Prize in Music. 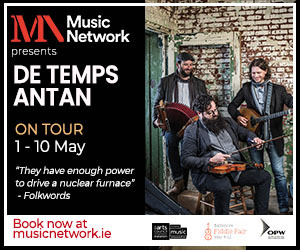 Belfast harper Úna Monaghan's new album is a surprising – sometimes startling – mix of traditional music material and electronics, writes Anna Murray.